Morten spends some time in London, England. 12	The four part TV series "Hotel Oslo", directed by Karin Julsrud, starts today on NRK in Norway. Each episode lasts for around 50 minutes and features a group of six young people with different ambitions who meet up at Hotel Oslo. 13	The soundtrack album to the TV series "Hotel Oslo" is released in Norway. 31	Morten starts off a tour of Norway at Maxime Club, Bergen, Norway. The band on tour with Morten are Anders Engen on drums, Geir Sundstøl on guitar, Martin Hedstrøm on guitars and keyboards and Kyrre Sætran on bass. 1	Sogndal Kulturhus, Sogndal, Norway. 1 - 20	Magne's 5 prints under the collective title "Everything Happens To Me" are exhibited at Asker Bilding Kunstsenter, Norway. 5	Lillestrøm Kultursenter, Lillestrøm, Norway (seated venue). 6	Morten was originally due to do a concert at Garveren in Gjøvik but the show is changed to Steinkjer on 15 February. Morten appears on the Norwegian TV show "Komplottet" (TV3) a practical joke is played on him: he is accused of 'stealing' lyrics from the song "Wild Mother" for his own song "Wild Seed". 7	Alfred's Pub, Hønefoss, Norway. 9	Union Rock Club, Drammen, Norway. 11	Rockefeller Music Hall, Oslo, Norway. 13	The show scheduled for Alexis in Elverum, Norway is cancelled as Morten has a throat infection. 15	The final concert of the tour at the Studenter, Steinkjer, Norway is cancelled due to Morten's throat infection. 22	Morten was supposed to take part in the concert for the ski championships in Trondheim but was able to do it due to his throat infection. The one track promo "We'll Never Speak Again", taken from the album "Hotel Oslo", is released in Norway. Morten and Håvard Rem go to China to work on Morten's next international album. In Norway, Savoy end their Warner Brothers contract and join up with EMI. 8	The yearly Spellemann awards take place at Oslo's Spektrum in Norway. Savoy are nominated for "Best Band" and "Best Newcomer" but do not win. Camilla Harket presents the Spellemann award to the group D.D.E. To mark the anniversary of the 25th Spellemannprisen, there is a CD released featuring 25 artists. Each artist represents one year and include a-ha (who have won a total of 5 prizes over the	years) and Morten (who has won a total of 9 prizes, including the ones with a-ha, over the years). At the end of April / beginning of May the a-ha albums were re-released in Japan. 6	There is a big article on Savoy in the Norwegian newspaper "Dagbladet" with an interview with Paul and Lauren. 23	Morten plays a concert in Vennesla (outside Kristiansand) with Håvard Rem as an opening for a guesthouse. Approximately 200 people are in the audience. 3? 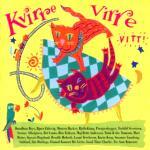 Morten's version of the song "Krakevise" is included on the Norwegian album "Kvirre Virre Vitt". He is one of 14 well known Norwegian artists (including Dum Dum Boys, Anneli Drecker (Bel Canto) and Bjorn Eidsvag) performing songs known from their early years. Morten is in Jamaica writing material for his next album. He returns to Norway just before the concert for the King and Queen of Norway. 21	Morten takes part in a concert for the King and Queen of Norway at Olavshallen, Trondheim. It was organised as part of the programme in celebrating Trondheim's 1000 year anniversary as well as the King and Queen's 60th birthdays. The concert lasting approximately 1 hour 20 minutes is broadcast on Norwegian TV later the same evening and includes "Lay Me Down Tonight" performed by Morten. 15	Magne and Per Kleiva are at the annual jazz festival in Molde, Norway. At the festival, there is a preview of Magne's new woodcut exhibition which will be on display at the Henie Onstad art gallery in August. Camilla is recording her new solo album in London, England (TBC). 16	There is an exhibition of work from the book Blåtoneboulevardene (The Blue Tone Boulevards) at the Henie Onstad Art Centre in Høvikodden, Norway. 18? The book "Blåtoneboulevardene" (The Blue Tone Boulevards), published by Grondahl Dreyer, is issued in Norway. The jazz inspired book features poems by Henning Kramer Dahl and wood prints by Magne. The cost of the regular edition is 620NOK and the limited edition signed book is 6200NOK (only 120 copies produced). The film "Kamilla und der Dieb" is shown on German TV ZDF. 19	The follow up film "Kamillas Freund" is shown on German TV ZDF. Magne is in Shanghai, China where he exhibits 30-40 artworks which include both wood cuts and graphical work. 1 or 8? Savoy's first single "Rain" from their new album is released as a radio promo CD in Norway. 11	Paul and Lauren are interviewed on Norway's Radio 1 in Oslo. 25	Lauren and Paul are interviewed on the Norwegian TV show "Pop Rush" (NRK). They also perform "Foreign Film". 1	Paul is the main guest on "God Kveld Norge" on the Norwegian TV station TV2. He is interviewed briefly and some clips are shown. 2	There is a release party for Savoy's new album "Lackluster Me" in Restaurant Stratos in Oslo. Morten and Camilla attend the party. 6	Savoy's new album "Lackluster Me" is released in Norway. 7	In the afternoon, Savoy are interviewed by Gunilla Holm on the TV chart show "Hit 40" (TV2). Savoy are interviewed on the evening TV show "God Kveld Norge" (TV2). 11	Camilla Harket performs two songs "Mama's Child" and "Just A Wish" from her new album on the Norwegian TV show "Tore På Sporet" (NRK1). The show was recorded on 8 October. 11-2 November Magne exhibits three of his glass works as part of the annual Norwegian exhibition "Norske Bilder" at Rådhusgalleri in Oslo. His glass paintings are simply numbered 35 I, 36 II and 37 III. 13	Camilla releases her album "First Breath" in Norway. It was produced by Leif Johansen. 14	Rain is at number 14 on the "Hit 40" radio chart. 15	The album "Lackluster Me" enters the Norwegian charts at number 12. 17	Savoy appear on the TV show "U:musikk" (NRK1). They are interviewed by H.C. Andersen and perform "I Still Cry" and "Foreign Film" live. 22	Lackluster Me is at no. 19 in the Norwegian charts. 25	Morten takes part in a concert at Sting bar, Stavanger. Håvard Rem is also there and reads the song lyrics before	Morten sings. 28	Savoy start their 5 day tour of Norway in Veita Scene, Trondheim, Norway. 29	Kroa, Bø i Telemark, Norway. "Lackluster Me" is at number 25 in the Norwegian charts. 31	USF Røkeriet, Bergen, Norway. A small book fair, Bok i sentrum, opens in the centre of Oslo. One corner of the fair is dedicated to Magne's and Henning Kramer Dahl's book "Blåtoneboulevardene" with his woodcuts and copies of the book. Savoy release a promo only single of "Foreign Film" in Norway. 1	Folken, Stavanger, Norway. Parts of this show are filmed for student TV at "Hoeyskolen i Stavanger" and Savoy are interviewed. 2	The final day of "Bok i sentrum" and both Henning Kramer Dahl and Magne attend. Magne goes there directly after returning from a trip to Denmark. Sigurd Køhn is also there to perform some jazz with 2 other musicians. 5	"Lackluster Me" is at number 33 in the Norwegian charts. 6	Lauren is on the Norwegian TV show "XS Trend" (Trenddiktatoren?) (NRK2) and talks about music and videos. 12	"Lackluster Me" leaves the Norwegian Top 40. 22-22 December	Magne's art exhibition "Magne Furuholmen in concert" opens at Galleri Brandstrup in Moss, Norway. It	features both his glass works and monoprints. The monoprints belong to a 24-piece series called "Credit". 24	Morten appears on "Tekst/Melodi: Morten Harket" on NRK1. The host Karoline Kruger interviews Morten about the process of writing music and lyrics. Morten performs "A Kind Of Christmas Card", "Lord" and "Bridge Over Troubled Water". 13	Morten is on the Children's programme "Kykelikokos" (NRK1) with Tomine. He sings Christmas songs and "Take On Me" (TBC). 20	Morten joins the band "Penthouse Playboys" for their annual concert at Rockefeller in Oslo. He sings "A Kind Of Christmas Card", "Hunting High And Low" plus an Elvis medley with them and "Can't Take My Eyes Off You" on his own. Morten joins the Oslo Gospel Choir on a trip to Guatemala where he performs some of his songs plus "Bridge Over Troubled Water" at a concert in the village San Martin and in the slums in Colonia de Noruega. A limited number of Savoy CD-singles of "Xmas Time (Blows My Mind)" are distributed in Norway. "Lackluster Me" has sold more than 11,000 copies in Norway. A CD by the London Symphony Orchestra is released in Norway. It features "Hunting High And Low".